The number of people incarcerated in the United States has increased significantly over the past three decades from approximately 419,000 inmates in 1983 to approximately 1.5 million inmates in 2013. Concerns about both the economic and social consequences of the country’s growing reliance on incarceration have led to calls for reforms to the nation’s criminal justice system. There have been legislative proposals to implement a risk and needs assessment system in federal prisons. The system would be used to place inmates in rehabilitative programs. Under the proposed system some inmates would be eligible to earn additional time credits for participating in rehabilitative programs that reduce their risk of recidivism. Such credits would allow inmates to be placed on prerelease custody earlier. The proposed system would exclude inmates convicted of certain offenses from being eligible to earn additional time credits. 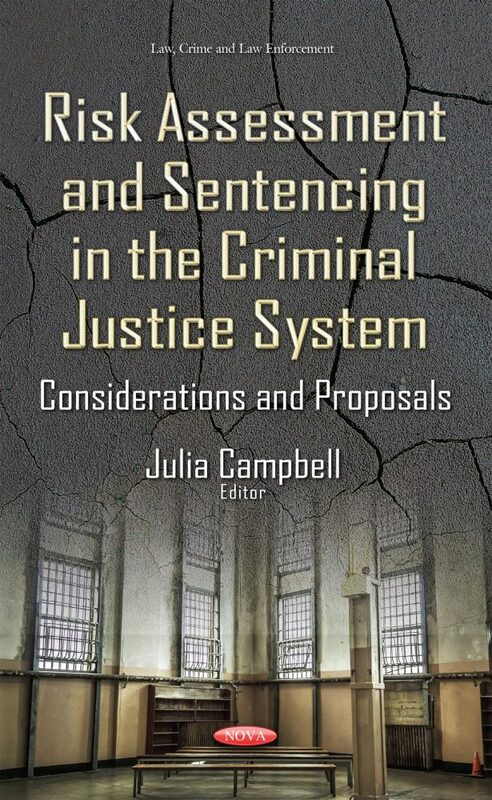 This book provides information on the use of risk and needs assessment in the criminal justice system. It starts with an overview of risk and needs assessment and a discussion of some of the critiques of it, and also discusses issues policymakers might consider if they debate legislation to expand the use of risk and needs assessment in the federal prison system. Moreover, the book reviews mandatory minimum sentencing legislation in the 114th Congress.